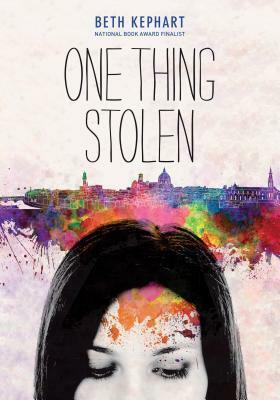 One Thing Stolen is about Nadia Cara a teen who moves with her family to Florence, Italy and begins to change. Nadia is able to understand everything that is going on around her but she can’t communicate with the rest of her family. Nadia also feels the need to steal things and use them to create intricate bird’s nests. This novel is written from Nadia’s perspective and because of her weird mental state her thoughts are hard to follow. There are no dialogue tags at all. As a result most of the novel doesn’t make sense. It is jumpy, disjointed, and I had a hard time distinguishing between what was really happening and what Nadia thought was happening. About 75% of the way through the book the perspective shifts from Nadia to her best friend who finally tells us exactly what is going on. Although, after being in the dark for so long I found the grand reveal to be lackluster. Overall, this book wasn’t my cup of tea. It was well written and I thought the end result was interesting but the journey to the end was tedious and cumbersome. The cover for this is so pretty. Sorry to hear it wasn't good. Negative reviews are so tough for me, you did a great job of explained what didn't work for you. Great review! Love the cover on this book. So beautiful. Too bad you didn't like it.